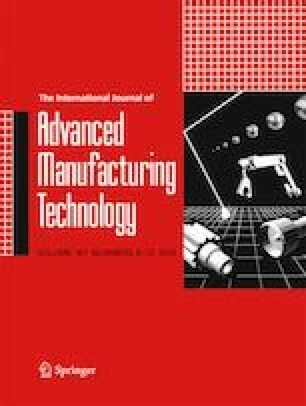 To address the significant subsurface damage of a workpiece after grinding by a coarse-grained wheel, the research on nanosecond ultraviolet laser micro-structuring of a coarse-grained diamond-grinding wheel was carried out, and the influence of process parameters on the depth and width of the groove, the micro-structuring efficiency, and the qualification rate of micro-structured grains were explored. The results show that the single-pass laser circular cutting method cannot achieve the desired groove size even with an arbitrarily large number of scanning cycles. The multi-pass laser circular cutting method can effectively improve the micro-structuring efficiency, and the width and depth of the groove increased and decreased respectively with the increase of the pass spacing. The qualification rate of micro-structured grains was related to the groove spacing, the distribution of the grains on the surface of the grinding wheel, the grain diameter, and the groove width. Under the assumption that the grains were evenly distributed on the surface of the grinding wheel, the qualification rate first increased and then decreased with the increase of the groove spacing. Financial support for this research was provided by the National Natural Science Foundation of China (No. 51605162) and the Hunan Provincial Natural Science Foundation of China (No. 2017JJ3077).